After a few pleasantries were exchanged with the conference impresario in German, the conversation, in English, turned to architecture. One might say, politically incorrect architecture. How does the director of world renowned architectural firm Zaha Hadid Architects make the speakers lineup for PFS? Have The Guardian run a feature article about you with the lead, “Abolish social housing, scrap prescriptive planning regulations and usher in the wholesale privatisation of our streets, squares and parks,” wrote Oliver Wainwright who was paraphrasing comments made by Patrik Schumacher shocking his architect colleagues in Berlin. Suddenly, Schumacher became “the Trump of architecture." Zaha Hadid was the queen of curve and now the firm that still holds the deceased Pritzker-winner’s name, is headed by “the king of free-market libertarianism,” writes Mr. Wainwright. There’s nothing I like better than railing about zoning, nonsensical local government land plans, and the irrational NIMBYism of homeowners. Come to find out, it’s no different anywhere in the world. Schumacher deals with it from Tokyo to Timbuktu. against the “social engineering” of housing design guides and the “intellectually bankrupt” idea of land use plans, he set out his Urban Policy Manifesto, which rambled from scrapping housing space standards to abolishing all forms of rent control and tenancy regulation. 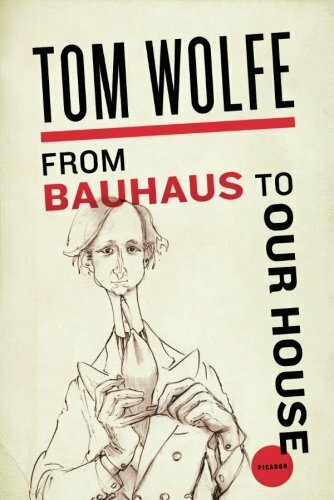 This seems a long ways from Tom Wolfe’s “From Bauhaus to Our House,” a book I was unaware of until that night in Bodrum. Who knew a writer could be so snarky about architecture? In any event, the problem is on the way to being solved, we are assured. There are now ne approaches, new movements, new isms: Post-Modernism, Late Modernism, Rationalism, participatory architecture, Neo-Corbu, and the Los Angeles Silvers. Which add up to what? To such things as building more glass boxes and covering them with mirrored plate glass so as to reflect the glass boxes next door and distort their boring straight lines into curves. Architecture was to be created for the workers and reject all things bourgeois. Bourgeois became a dirty word. One should never design something that might be referred to as bourgeois. Wolfe’s hysterical rant continues for 112 pages. Bauhaus forever. But that was only the start. The definitions and claims and accusations and counteraccusations and counterclaims and counterdefinitions of what was or was not bourgeois became so rarefied, so arcane, so dialectical, so scholastic...that finally building design itself was directed at only one thing: illustrating this month’s Theory of the Century concerning what was ultimately, infinitely, and absolutely nonbourgeois. Like a number of fellow rightwing libertarians, he was a former Marxist who had become disillusioned. He was finally jolted out of his “mainstream political slumber” by the 2008 financial crisis, when he discovered the writings of Ludwig von Mises and Friedrich Hayek, the godfathers of neoliberalism, along with Murray Rothbard’s ideas of anarcho-capitalism. Ms. Hadid was never outspoken. But Schumacher told Wired, "I'm thinking larger. I'm thinking of making history, in fact." Mr. Lubell concludes, “Schumacher doesn’t, it appears, want to become the next Zaha Hadid. He wants to become the Corbusier, Mies van der Rohe, or Walter Gropius for the digital age.” However, these three famous architects of the Bauhaus received their commissions from Socialist governments. 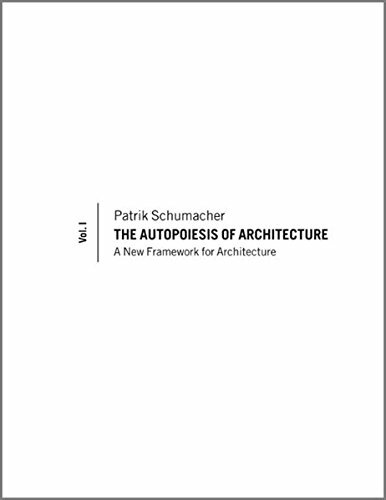 Schumacher surely doesn’t want to be stuck in the Bauhaus. Jun 24 America's Troubles: The Boomers or Democracy?